Beautiful and desirable Chadds Ford 10 acre lot available for you to build your dream home - currently located on White Tail Run Estate between Fairville and Stockford Roads. Lot subdivision is pending and final acreage (Minimum 5 acres) is subject to owners final agreement on property lines. 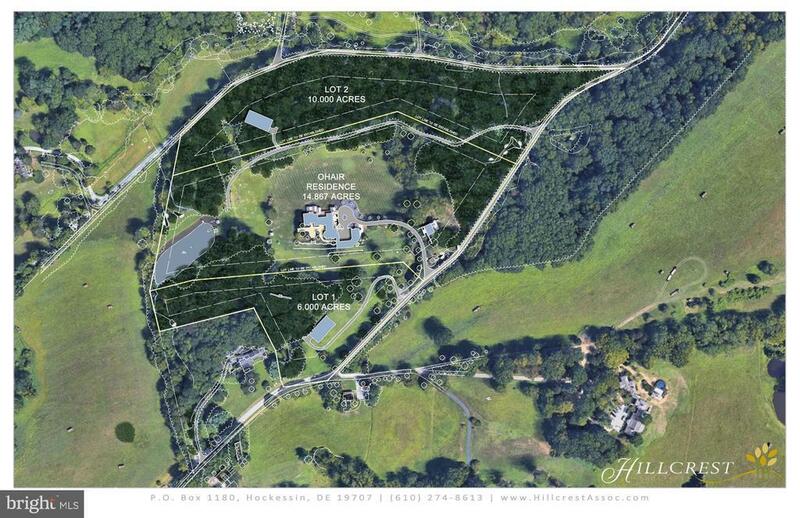 The 10-acre lot will have the favorable tax status under Ag 319. This beautiful lot has wonderful views and will be among the handful of the estate homes on Fairville Road. Under separate MLS is the adjacent White Tail Run Estate home that is pending subdivision into 15 +/- acres and could be added to this 10-acre parcel. Lot to be accessed from Stockford Road through an existing service road or a Penn dot approved access from Fairville. Building envelope pending final review of owners.